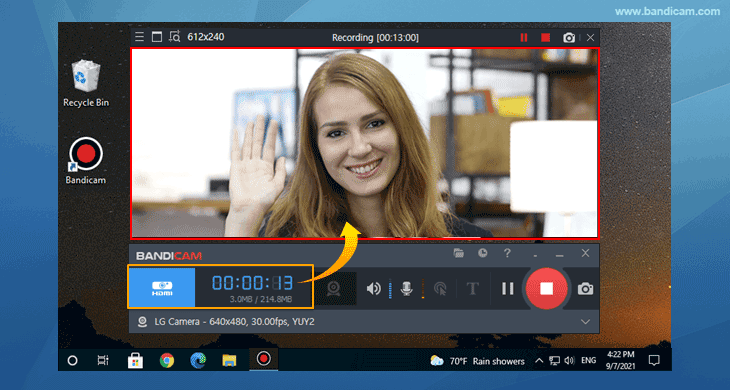 One of the best screen capture software programs which allows you to record videos of tutorials, demonstrations and webcams. Do you want to capture your computer screen as an image or video file? 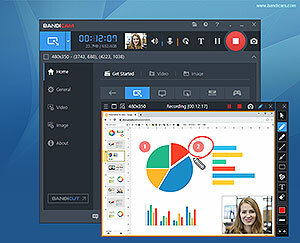 A video screen capture, also known as a screencast, is a digital capturing of a computer screen and it has become a lot more common these days. Screen capture software allows users to capture computer screens, video tutorials, online academic lessons, and walkthroughs. 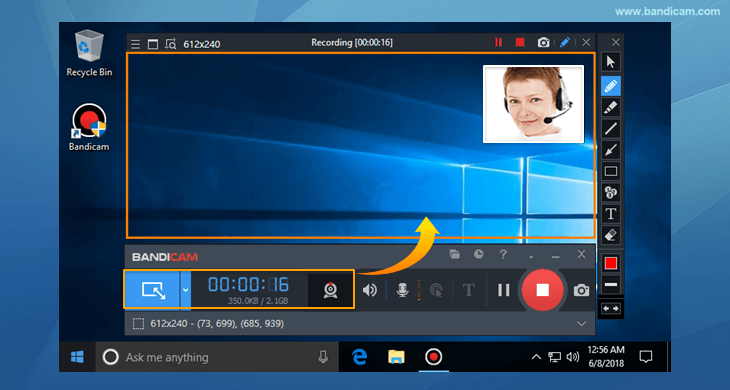 With screen capture software, anyone can take a screenshot or record lectures, webinars, PowerPoint presentations and Skype video calls with computer sound and audio narration from the microphone. Screen Capture Software can help you show others how to do something on their computer. 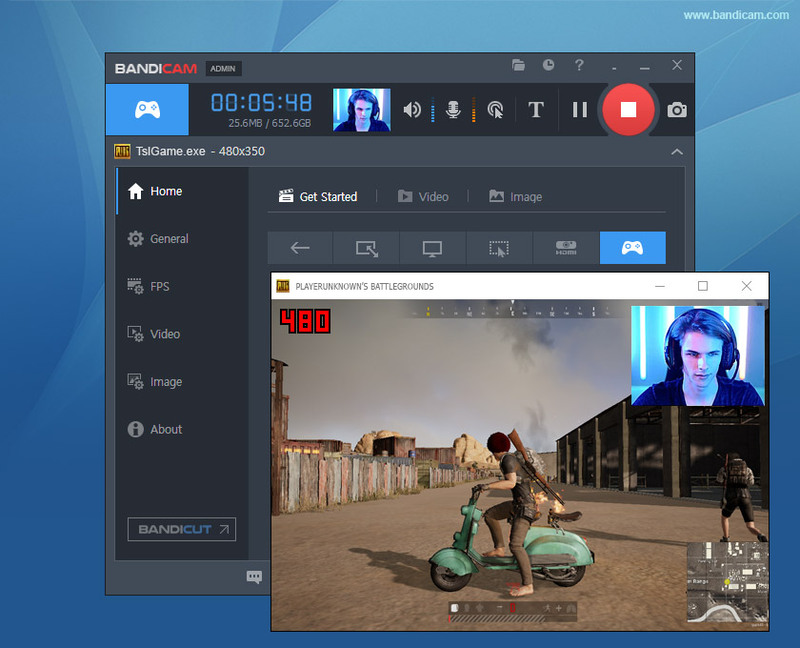 If you need to record your screen to show a demo of your products, give someone a walkthrough as a video tutorial, or create a video of your screen for an online course, Camtasia and Bandicam might be perfect for this purpose. 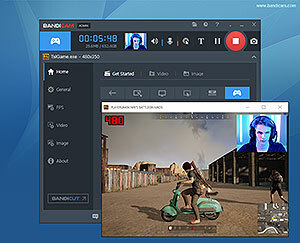 Bandicam is a free screen capture program that lets you record video from games, desktop or external sources. It has been designed for people who need robust functionality, and ease of use. It is recommended for businesses and professionals aiming to produce short videos especially tutorial videos for their YouTube Channel or Social Media department or team. 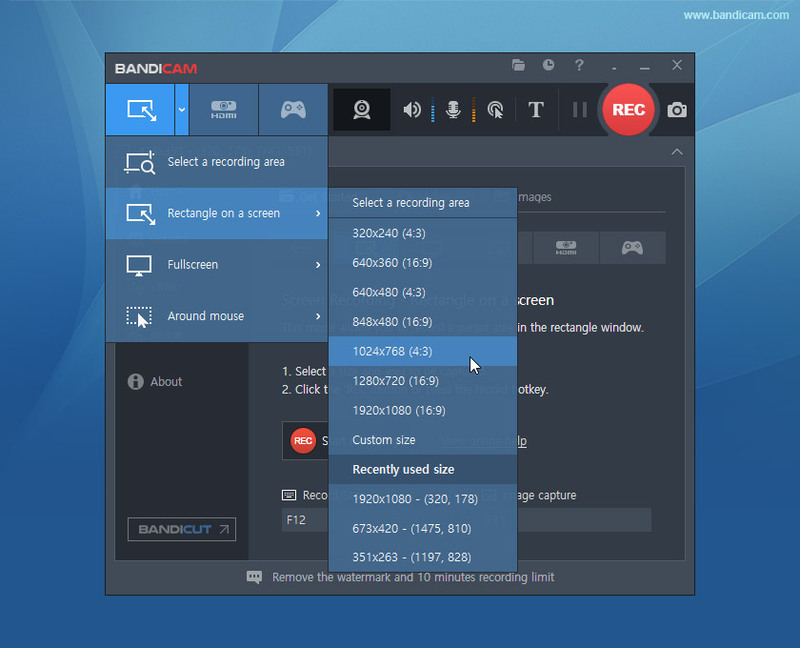 Bandicam is a great capture program as it will allow you to easily record the computer screen, computer sound and microphone all together. 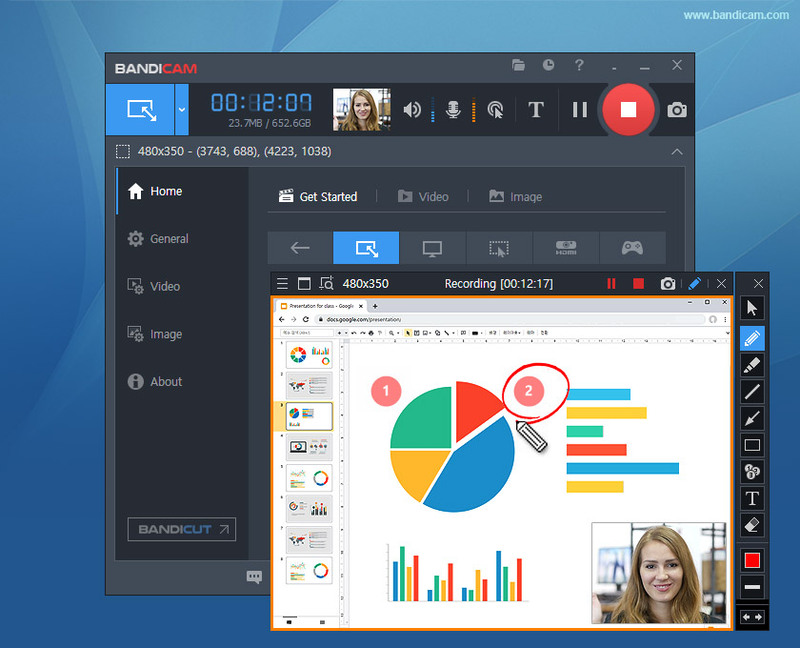 Bandicam has earned its reputation as the best image capturing and video recording software. It will fully satisfy both beginners and advanced users who need a tool that allows them to capture and create screenshots. 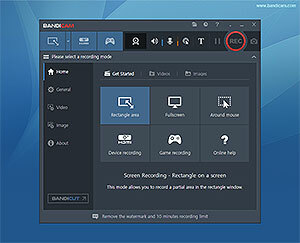 Step 1: To take a screenshot, Download/install Bandicam and choose the 'Rectangle on a screen' mode. Step 2: Click the 'Camera' icon to capture the screen in the rectangle window and save it as an image file. Step 3: Go to Home -> Video to check the captured images. 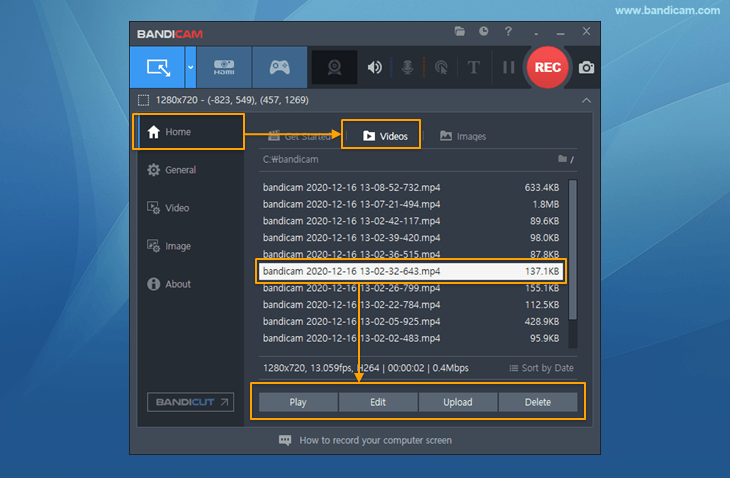 With Bandicam, you can select the area you want to record, and even choose to record the audio along with it if you want to make everything a lot more authentic and easier for the viewers. Step 1: Download/install Bandicam and choose the 'Rectangle on a screen' mode. 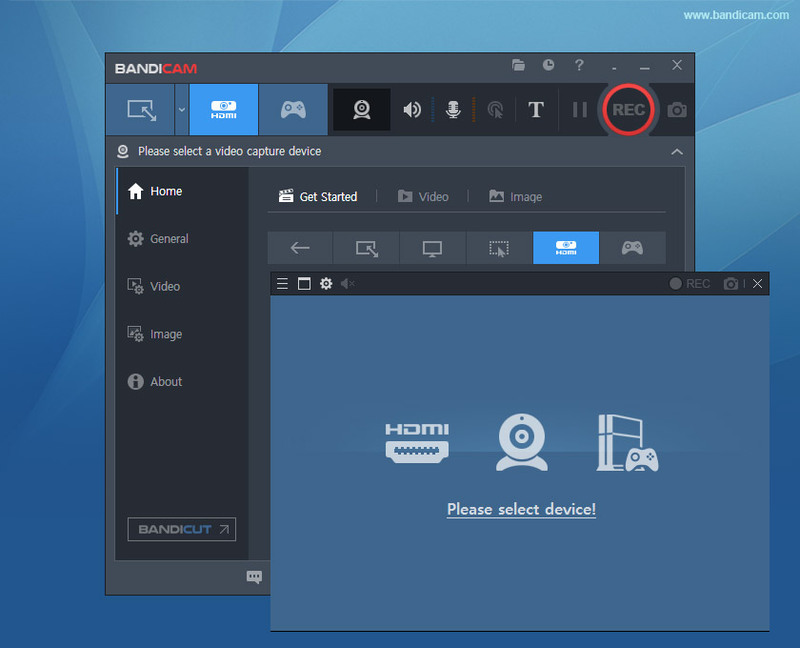 Step 3: Go to Home -> Video to play, edit or upload the captured videos. Using screen capture software can be a great way to create comprehensive video tutorials and demonstrate how to use software. To upload a captured video to YouTube, Facebook or Vimeo, go to the Home tab of Bandicam and click the [Upload] button.